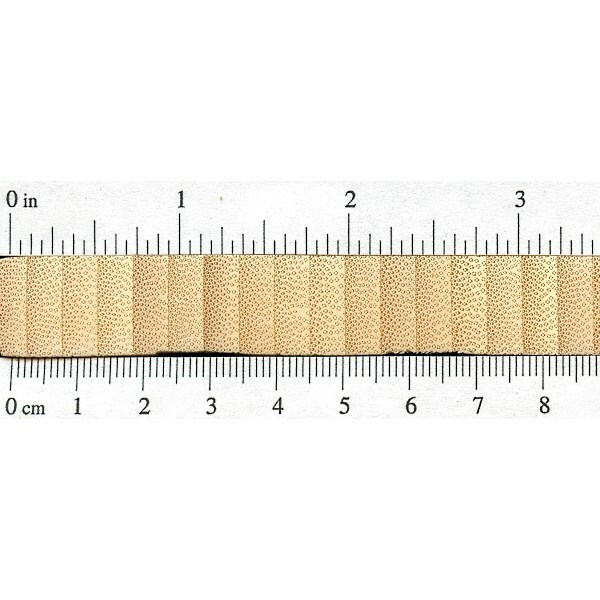 Endgrain: Resembles the endgrain of palm—another monocot. No data is available to distinguish between bamboo species, but bamboo can usually be distinguished from wood and palms by the hollow stem, pale color, and the lack of rays or visible pores. Rot Resistance: Bamboo used in exterior conditions is perishable, and will deteriorate in a matter of years. This is also paralleled in the short natural life cycle of bamboo, where many species quickly reach full maturity after only two or three years, and are subsequently attacked by decay mold and fungi, typically collapsing only a few years later. 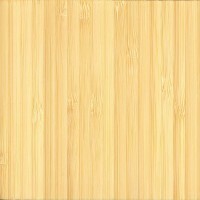 Bamboo is also susceptible to insect attacks such as powder-post beetles, termites, and marine-borers. Workability: By woodworking standards, bamboo can be different. It is not necessarily difficult to work with, but depending on the species, it may require some special care. 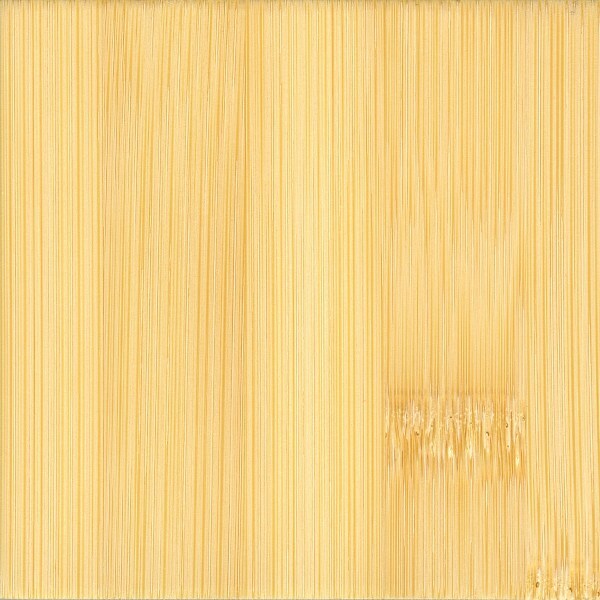 Bamboo fibers tend to split and pull out when being cross-cut, (applying masking tape across the cut line beforehand is recommended to prevent this sort of tearout). Also, bamboo is very high in silica—from .5% to 4.0%, found almost entirely in the outermost layers of the stem—so care must be taken when processing lumber. Carbide cutters are strongly recommended, and surface sanding is suggested instead of thickness planing with steel cutters, both for longevity of cutting edges, and quality of the finished surface. Bamboo glues, stains, and finishes well. When turning giant bamboo species, tools dull quickly, and endgrain tearout is common, but tearout tends to be very shallow, and the endgrain sands nearly as easily as the facegrain, and an overall smooth finish can be achieved with minimal effort. Allergies/Toxicity: Although severe reactions are quite uncommon, bamboo has been reported to cause skin irritation. It’s unclear whether the bamboo itself actually causes the irritation, or if it is simply due to the decay fungi commonly present in the material. See the articles Wood Allergies and Toxicity and Wood Dust Safety for more information. 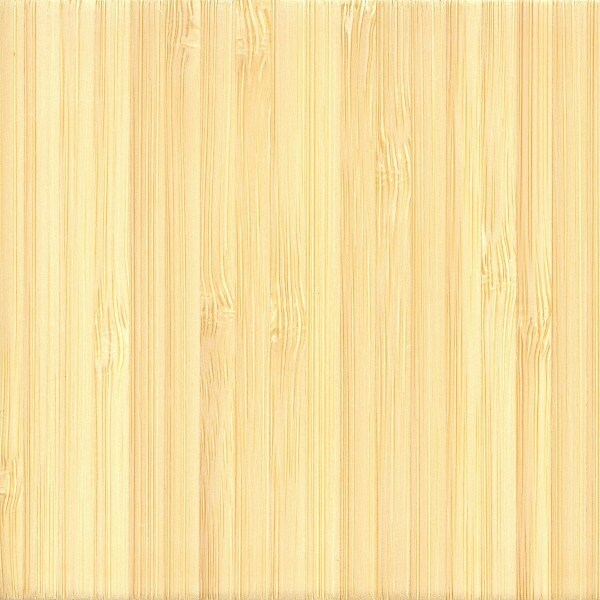 Pricing/Availability: Bamboo is typically available in three forms: in hollow turning-blank sizes from giant bamboo species; in glued-up boards (flooring) and sheets made from many smaller strips; and in paper-backed veneer. 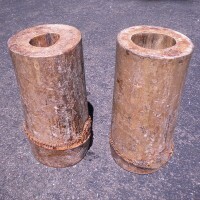 Although bamboo is a very abundant natural resource, and prices for raw material tend to be low, (it is often called the “poor-man’s timber” throughout bamboo’s natural range), prices can be much higher for the energy-intensive, processed and glued-up imported products: often exceeding the cost of domestic hardwoods. Comments: Bamboo is one of the most unique plants on earth. Unlike trees, bamboo grows initially at full width, with no tapering or horizontal growth. Some species can grow up to three feet a day! After just one year, bamboo reaches its full height, and in subsequent years, the stem (called the “culm”) continues to harden. The strength of the bamboo continues to increase for the next two to four years; most species of bamboo are considered fully mature in just two to three years. After this time, fungus and mold begin to cover the outside of the culm, eventually working its way into the interior, weakening the plant over several years before it eventually collapses from decay. For this reason, there is a window of time when it is considered best to harvest bamboo for optimum strength and hardness. 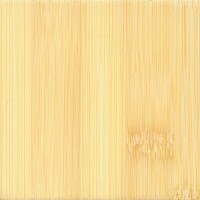 Bamboo is known to have a high shrinkage rate when initially being dried, amounting to 10-16% in culm diameter and 15-17% in overall wall thickness. 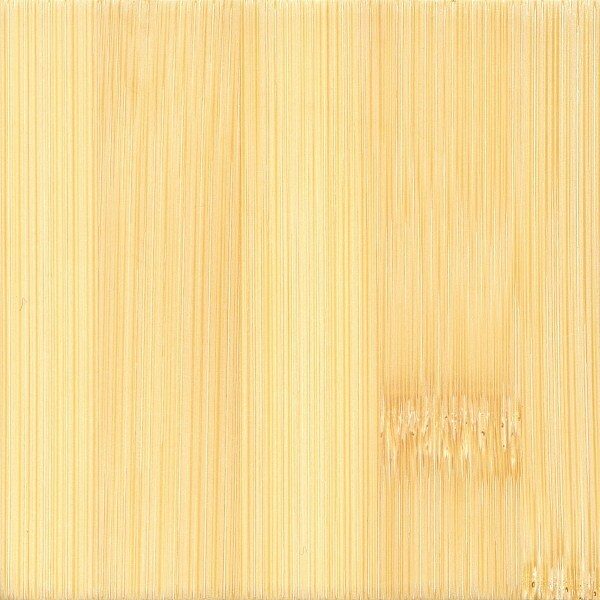 Bamboo tends to shrink more towards the outer wall than at the interior: for this reason, surface checks can develop on the outside of the culm if it is dried too rapidly. However, despite the high shrinkage rates for bamboo, once it has adjusted to equilibrium moisture content, it is somewhat stable in use. Although many prefer the aesthetics of bamboo for its unique, down-to-earth, Asian-flair, the real story on bamboo lies in its mechanical properties. Although it is hard to typify a group of over one thousand different species into a single set of mechanical values, on the whole, bamboo possess some of the best stiffness/strength characteristics, and strength-to-weight ratios of any woody material on the planet. 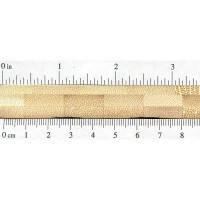 But the difficulty in qualifying bamboo’s strength lies not only in the abundance of species, but also in the lack of standardized testing: a complicating factor is that bamboo itself tends to be harder and stronger toward the outside of the culm, gradually getting softer and weaker toward the center. In some testing, certain species of bamboo at certain areas of the culm have exhibited stiffness (m.o.e.) and bending (m.o.r.) values far exceeding that of any hardwood. The only “weakness” of bamboo is simply inconsistency: with so many different species, and so many ways to cut and process bamboo, it is hard to be assured of the mechanical characteristics of any given bamboo product. 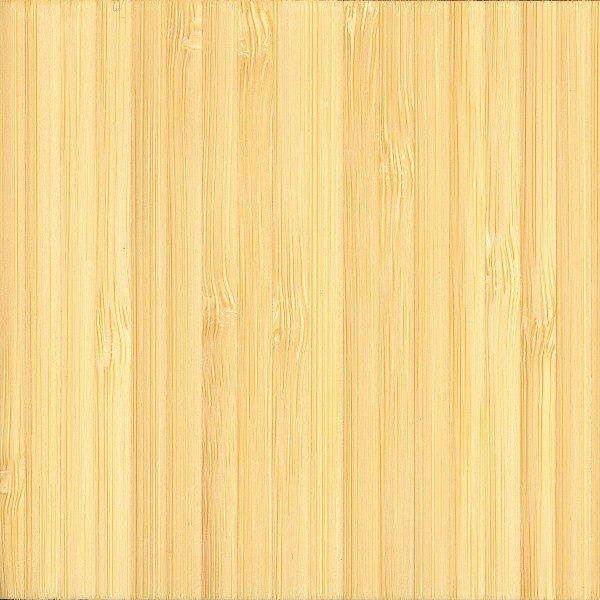 Scans/Pictures: As you can see from the pictures, there are two styles of bamboo commonly used for flooring, which would loosely correspond to flatsawn or quartersawn sections in woodworking terminology. Each type is formed by gluing smaller bamboo strips either in a horizontal or vertical orientation. 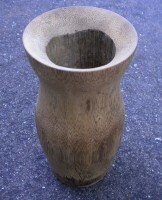 The giant bamboo blanks and turned vase below are Dendrocalamus asper. I’m curious about your value of 18-20 GPa for the elastic modulus. 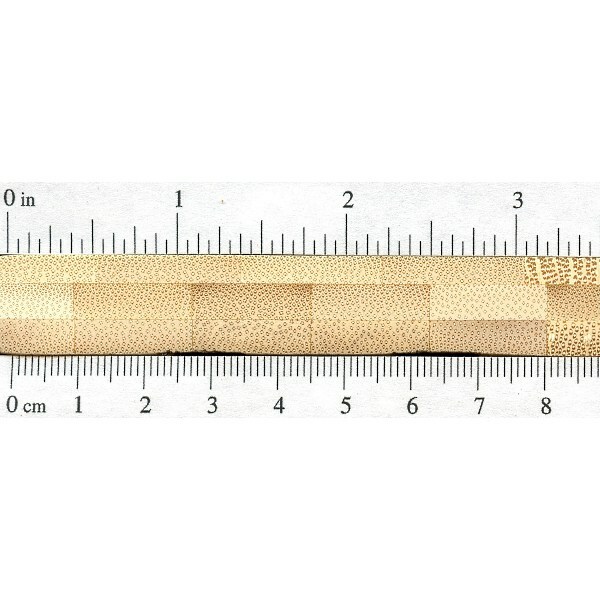 I’ve never tested it myself, but most everything I’ve been able to find online suggests a value more like 10-12 GPa (for the very common moso bamboo, at least). Do you know why this might be? 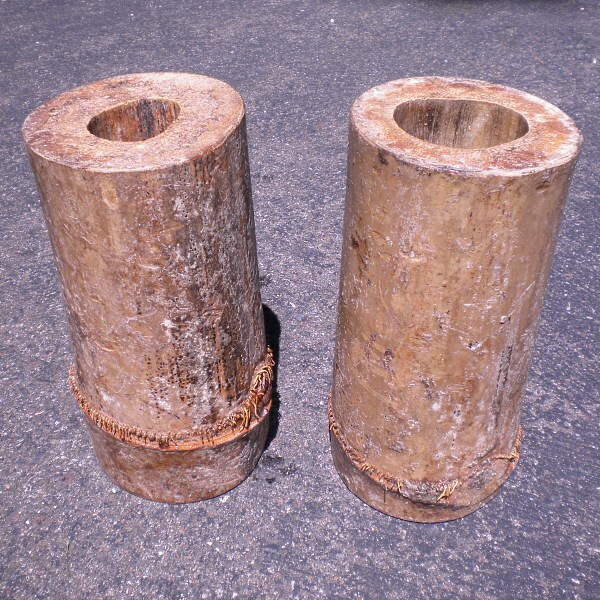 Are bamboo shoots viable for construction of a structure that should be able to hold around 250 lbs? I’m trying to figure out a good material to make a collapsible hammock stand out of for use on a beach. I don’t want to use a metal because I don’t have metal working equipment, but I can work with some wood. I was thinking about it and bamboo came to mind. Some species grow in fairly humid climates as far as I thought, so I figured being on a beach, while not lasting forever, would at least be able to last for a fair amount of time given that one rinses it off after using it in the salty water. With the added benefit of being pretty light weight I figured it’d be pretty good. Is bamboo alkaline or acidic? 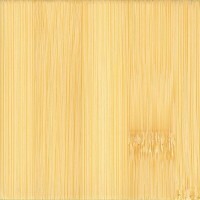 WILL YOU PLEASE MENTION THE TYPES OF BAMBOO WOOD. Imported bamboo poles will be sprayed with fungicide and people can have reactions to that. 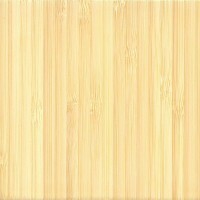 Bamboo has a high silica content, with the outer edge being almost pure silica, which can also cause reactions. 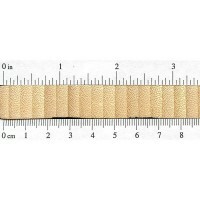 There are 4-5 domestic suppliers of bamboo poles, but they tend to be more expensive than imported bamboo. One of them is my company, Brightside Bamboo in Chapel Hill, NC. I was clearing dead leaves away from the base of our bamboo and my arm felt I had been nettles all over, within 10 mins I had red marks all over my arm and in the morning it had turned to hundred of little blisters. Not very sore just tingly feeling likened to being nettles. Will definitely ensure I wear long sleeves next time or get somebody else to do it. I have used bamboo plywood for several projects. Fabulous material. Easy to machine, very strong and I did not experience any skin reaction. Obviously I tried not to breathe the dust. Absolutely. I live in Florida and the bamboo that grew in our yard has little, I don’t know quite how to really describe them, but needles with barbs I assume, you can’t see them. They hurt and after one encounter you only use gloves when dealing with them or only go for the dead ones where the needles seem to fall. This species was used as a hedge like barrier in our neighborhood. I was pleasantly surprised as I grew up to find that other species/types of bamboo did not include these needles as in their quiver of attributes. They are very slender and their only value was a cane poles. I was bell sending bamboo and I had a allergic reaction to the dust. It gave me the cold like symptoms for the rest of the day.